Before joining Caterpillar as Chief Financial Officer in September 2018, Andrew Bonfield knew he was coming to work for an iconic company. 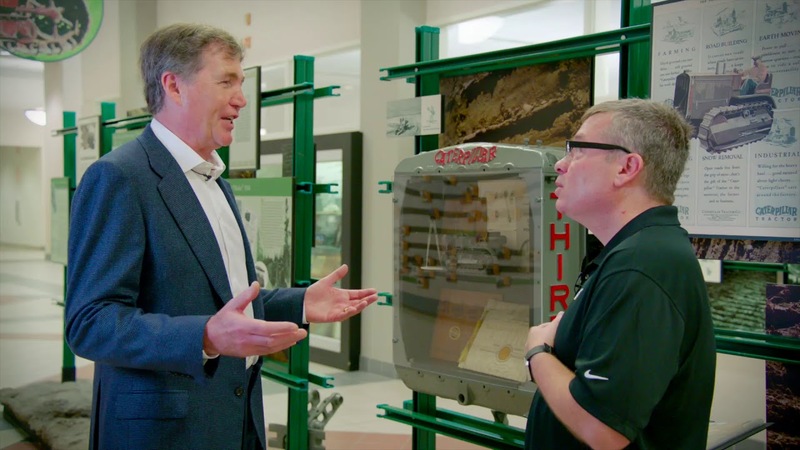 But during a recent visit with our corporate archivist, Andrew learned much more about Caterpillar’s heritage including its California roots and who coined the company’s name. Join Andrew as he explores Caterpillar’s history and visits one of the company’s most famous factories. The history of Caterpillar is all about doing. Andrew Bonfield is Chief Financial Officer of Caterpillar Inc. with responsibility for Finance Services, Financial Products and Global Information Services.